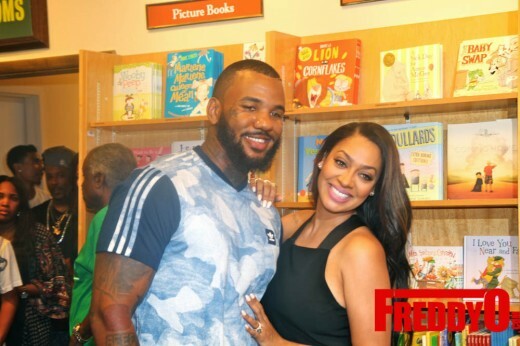 PHOTOS: La La Anthony Presents “The Power Playbook” ATL Book Signing with Special Guests The Game, Dice Dixon, and MORE! Radio turn reality star La La Anthony is back at it with a new book entitled “The Power Playbook” a guide for the ladies helping them to WIN in business and in life; the follow-up to her very successful “The Love Playbook”. La La announced her triumphant return to the City of Atlanta and invited all of her loving fans to come check her out and learn more about her new book. La La invited her cousin and reality tv co-star cousin Dice and west coast rapper The Game to come out to greet the fans and celebrate in her success.